There are many Nepali FM radios in Nepal. Nepali FM Broadcast many programs on music, news and entertainment. Some of the Radio broadcast special news and some just broadcast music only. But today I am going to write post about the radio Program which broadcast Nepali Gazal, Nepali Music, Muktak and sayaries. 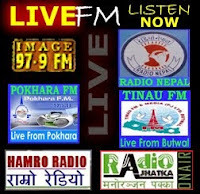 Some of the Famous Radio programs from Nepali FM Radios are listed Below. Shruti Sambeg Shruti Sambeg is radio program from Nepali FM Ujyaalo Ninety Network. This Radio program is about Nepali Novels and story. Nepali audio books can be listened from this program. Shruti sambeg is hosted by Achyut Ghimire. Ekal Kabita Bachan Ekal Kabita Bachan is radio program about Nepali Poems in the native poet's voice. This program is broadcast-ed from Ujyaalo 90 Network and hosted by Achyut Ghimire. Ekal Kabita Bachan is program for expression of true feelings through the Medium of Nepali Literature. Bulbul Bulbul is Gazal program hosted by Achyut Ghimire. Nepali gazals from Nepali writers are read out in this program. Beside Achyut provide information about Nepali Artists and their intervies in this program. Bahakine Man Bahakine Man is radio program on Nepali Gazal hosted by Mahabir Bishwokarma through CIN Radio. In this Radio Program Mahabir Bishwokarma focus on Nepali Literature and feelings from listeners. Listen Bahakine Man and other radio program. Yo Sanjh Yo Subash Yo Sanjh Yo Subash is radio program from Ransi Media USA. This program is totally dedicated to Nepali Litrature and Nepali Story. 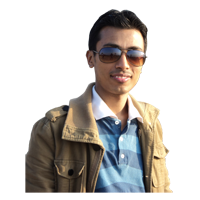 Yo Sanjh Yo Subash is hosted by Pradip Giri. Pradip Giri reads out the Messages and Nepali Gazal sent from Nepalese from all around the World. Yo Maya Bhanne Chiz Yastai Ho | Sabina Karki Yo Maya Bhanne Chiz Yastai Ho is radio program from Kantipur FM. This program provide messages, tips and tricks on day to day life. Yo Maya Bhanne Chiz Yastai ho is hosted by Sabina Karki. Sabina gives special tips on love life. Gazal Ka Sherharu Gazal Ka Sherharu is radio program on Nepali Gazal hosted by Laxmi Itihas through Radio Ekata 92.4 Lalbandhi. In this Radio Program Laxmi Itihas focus on Nepali Gazal from listeners. Listen Gazal ka Sherharu and other radio program.